Make your home feel festive (and smell like pine!) 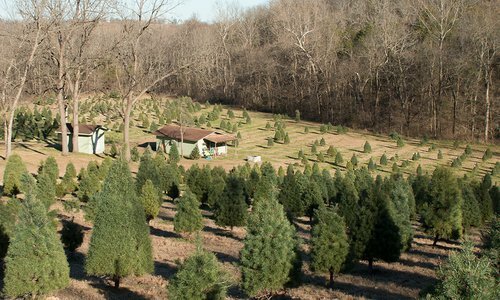 this year, and cut your own tree at one of the Ozark’s Christmas tree farms. 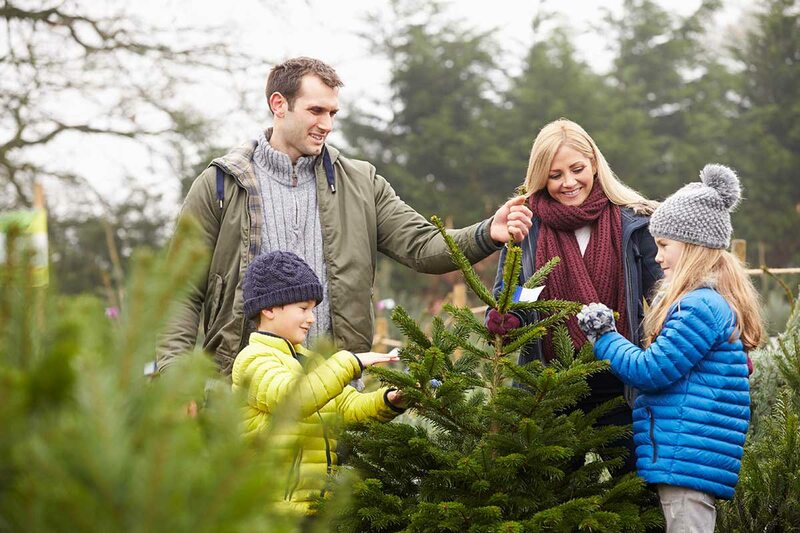 Dec 01 2018 at 8 a.m.
Photo courtesy ShutterstockThere isn't a more perfect bonding activity to get the family in the holiday spirit than visiting a Christmas tree farm. 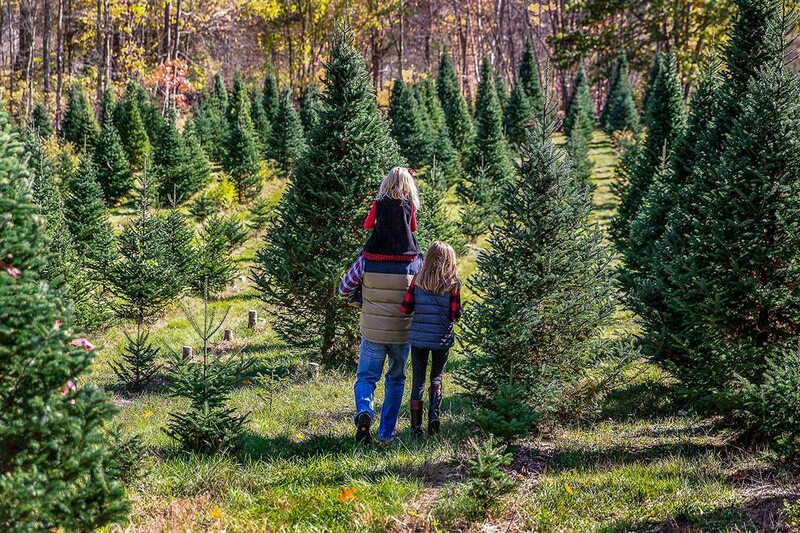 Cutting down your own Christmas tree isn’t for everyone (just ask Clark Griswold), but southwest Missourians who love filling their home with the smell of fresh pine and using a little elbow grease to earn it can make visiting the region’s Christmas tree farms a new holiday tradition. Many of the tree farms listed below sell cut-your-own and some precut trees, but you can also find live trees (sold with a root ball for future planting) in some places. You’ll want to make a day of it; come for the fresh trees but stay for holiday gift shops, fresh wreaths, Christmas decor, fun activities and steamy cups of hot chocolate. More: Gift shop with Christmas decor, hayrides, cow train rides, kids crafts, hot chocolate, sweets, snacks and fresh wreaths. Tips for Finding "The One"
There are a lot of trees out there, and your mission is to find the one that’s perfect for you and then keep it looking oh-so-fresh all season long. Here are our tips, gleaned from several years of Christmas tree farm visits (and a few mistakes made along the way). 1. Don’t Forget to Measure. After one Clark Griswold moment and a Christmas tree that scraped the ceiling, we learned our lesson. It’s the same one carpenters tout: Measure twice, cut once. Don’t be charmed by your new home’s slightly taller ceilings and assume anything will fit. Don’t trust your eyes to guess if that tree you’re staring down in the middle of a field is going to fit into your living room. Measure before you go. Measure at the farm. Measure, measure, measure. There are several tree varieties out there, and they all have slightly different construction. Go for something like a white pine or a Leyland Cyprus if you have light ornaments and like a tree with a feathery look. Go for something with sturdier branches like a Scotch pine or Frasier fir if you have heavier ornaments that need the support. To keep your tree in tip-top shape all season, make sure you take a few easy steps. First, cut the bottom inch or so of the trunk off before setting the tree up in its stand. You want a fresh cut for maximum water absorption. 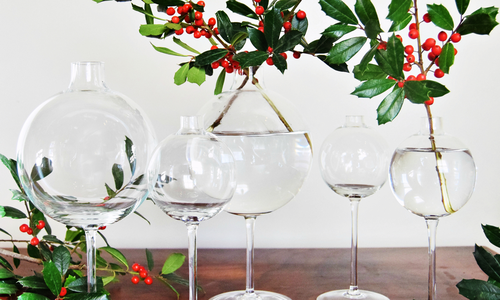 Then, keep that stand full of water so your thirsty tree can hold onto its needles and look beautiful through the holiday. 4. Dispose of it Properly. Don’t just chuck your tree out on the curb for trash pick-up. There are a few places in town that take Christmas trees—once every ornament and string of tinsel has been removed. In Springfield, you can haul your tree to the Yardwaste Recycling Center (for free), to the Ozark Trails Council Boy Scouts set-up at Bass Pro Shops (for $2) or to Wickman’s Garden Village (for a $5 donation that goes to Harmony House). If you're loyal to getting a real tree every year then you also know the pain of disposal. 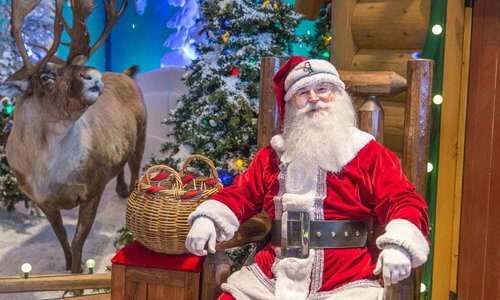 We've got a few ideas to help make the end of the Christmas season as painless as possible. When your Christmas tree is losing its needles and the holiday has long passed, it’s time to say goodbye. Haul your tree to one of these local spots to give it a little purpose in its afterlife.